Henry King was an English poet and minister who rose to the position of Bishop of Chichester, following in his father’s footsteps. He was born in January 1592, the son of John King, Bishop of London. Such privileged family circumstances allowed him to receive a good education, starting at a fairly newly opened establishment in Thame, Oxfordshire called Lord Williams’s School. He went on to Westminster School before going up to Oxford to study at Christ Church College. King obtained his Bachelors’ degree in 1611 and then a Masters’ three years later. His career in the church began as a prebend at St Paul’s Cathedral in January 1616 and, the following year, he was made Archdeacon of Colchester. His progress in ecclesiastical circles was steady with a particular honour being his appointment as Chaplain in Ordinary to King James. He also had connections in literary society, being a good friend of the much revered metaphysical poet John Donne, also a church man. Other friends included Sir Henry Blount, Izaak Walton and Ben Jonson amongst other famous writers of the day. 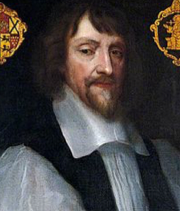 His elevation to the position of Bishop of Chichester in early 1642 coincided with unhappy times for the church, with Parliament decreeing that all bishops should lose their votes in the House of Lords. His episcopal palace in the Sussex town was seized, along with his valuable library. Other estates were also impounded as those with loyalties to the crown were severely dealt with. He was forced to spend the next few years living in Langley, Buckinghamshire at his brother-in-law’s house. King’s fortunes took a turn for the better when King Charles II took the throne in 1660, thus heralding the time of Restoration, and he returned once more to his position as Bishop of Chichester. Throughout the years of upheaval he had been a prolific writer, often engaged in the writing of elegies for royal personages. He also produced the same on his good friends Johnson and Donne. 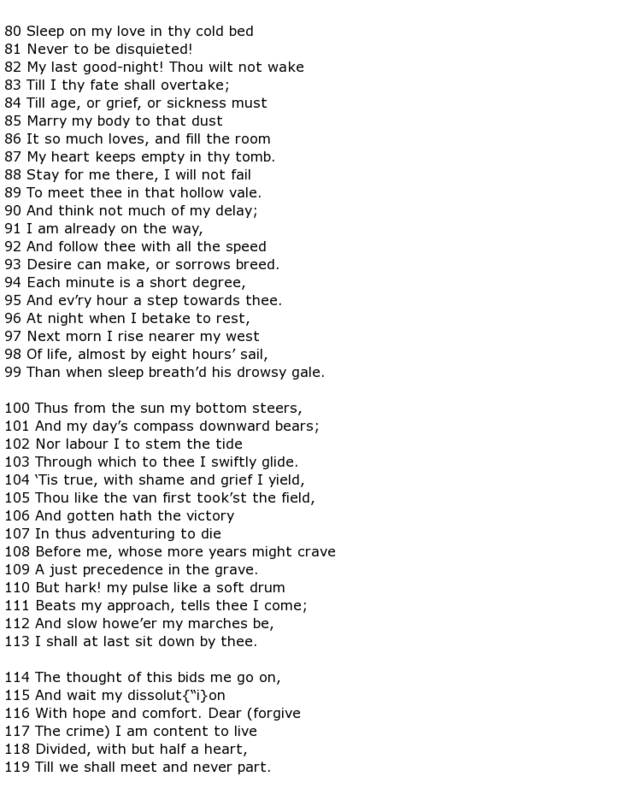 He was, though, never considered any more than a minor poet of his age, albeit a very good one. A collection of his work, under the title Poems and Psalms, was published in 1843. Henry King died on the 30th September 1669 at the age of 77. His body was interred in Chichester Cathedral.